Size: approx. 3 mm. Photo: 04/29/12, 7 pm. 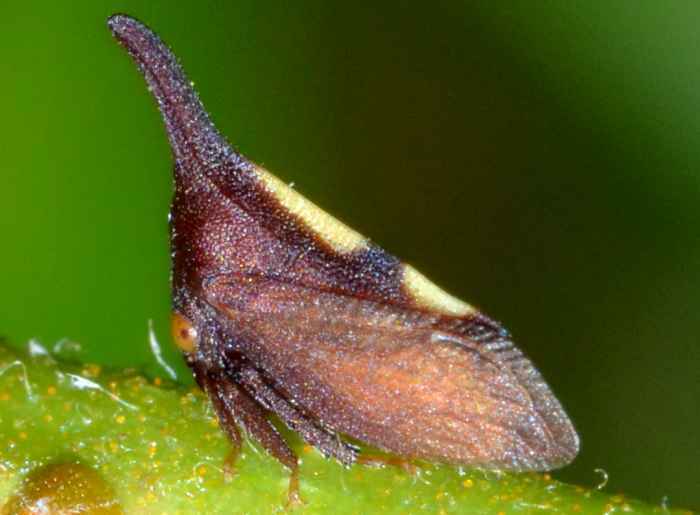 Enchenopa is a really cool treehopper. The genus has two described and several undescribed species in North America. Seemingly there is an effort underway to link these species to their preferred plant type. 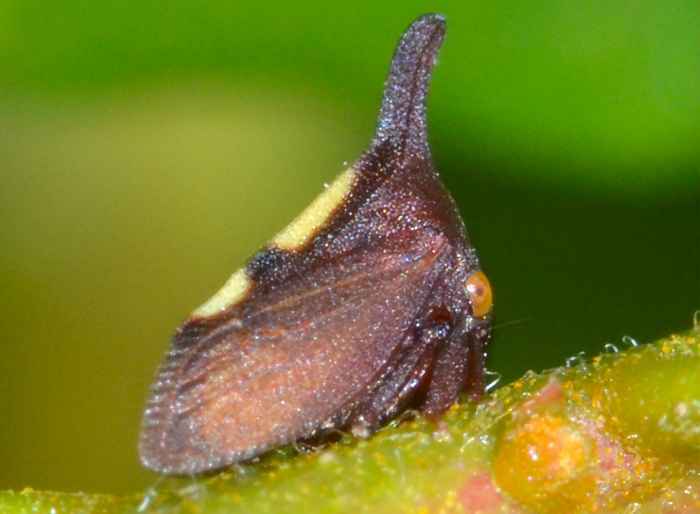 For instance, the similar looking E. binotata feeds on Celastrus. I found my specimen on this plant. Another view of the same bug is shown here.